Tomato is a vegetable-fruit that is among the most consumed vegetable available, and it’s also the most grown in our vegetables gardens. Harvest – summer, let it ripen on the plant. From sowing to planting, caring and harvesting, every step is important and helps produce beautiful tomatoes. It’s best to consider that tomatoes can only successfully be planted outdoors after May 15th, and that it is useless to start sowing them too early. Sowing tomato seeds must be done at the end of the winter, towards mid-March, indoors and with a temperature of around 65°F to 70°F (18°C to 20°C). If you don’t have seed growing equipment, or that you are growing tomatoes for the first time, start with small seedlings purchased in a nursery. Refer to our page on sowing tomatoes and start indoors in February-March. This method takes longer, but it is very easy to accomplish and you’ll be rewarded with a unique delicious taste in the fruits you will harvest! > This is the best way to start growing tomatoes, or at the very least save all that seedling-growing time. > If you purchase tomatoes in nursery pots, it means you’ll have purchased them in the spring. > Plant them in a sun-bathed area, sheltered from stronger winds, once freezing is definitely over. > Space each plant around 30 inches (80 cm) apart. For better tomatoes, add organic tomato fertilizer once or twice a month. 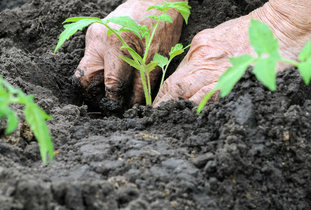 Humus-rich soils, preferably mixed in before planting. Being exposed to the sun as much as possible. Regular watering, but without wetting the leaves to avoid diseases. It is important that fruits be exposed to sunlight for them to develop correctly. Remove the growths (they’re called “suckers”) that may sprout where the leaves are connected to the stem. These “suckers” tend to absorb a lot of sap, and this slows the growth of the plant. When the plant has reached its maximum height, prune the head off, leaving 4 or 5 groups of leaves. Tomatoes can generally be harvested starting middle of August, and harvest can continue till the end of fall if the climate stays mild. Tomatoes are best harvested only once they are well colored. Usually this takes 4 to 5 months of growing, from the moment seeds started sprouting. Some fruits might mature very late in the season. You can harvest them if still green and let them ripen in your garage or on a windowsill. With green tomatoes, you can make delicious green tomato jam. There are various common diseases that attack tomatoes, often types of fungus that can be avoided if basic rules are followed. You can find the best advice for each disease by clicking on the links for each of these diseases. Tomato blight – Black spots on leaves. Powdery mildew – white velvet covers leaves. Aphids – leaves curl up. Whiteflies – Tiny flies gather on the underside of leaves. A plant-based insecticide must be sprayed on the pests, or nasturtiums can also be planted at the foot of your tomatoes. Tomato pinworm – pinworm larvae dig tunnels on both stems and leaves of the tomato plant. 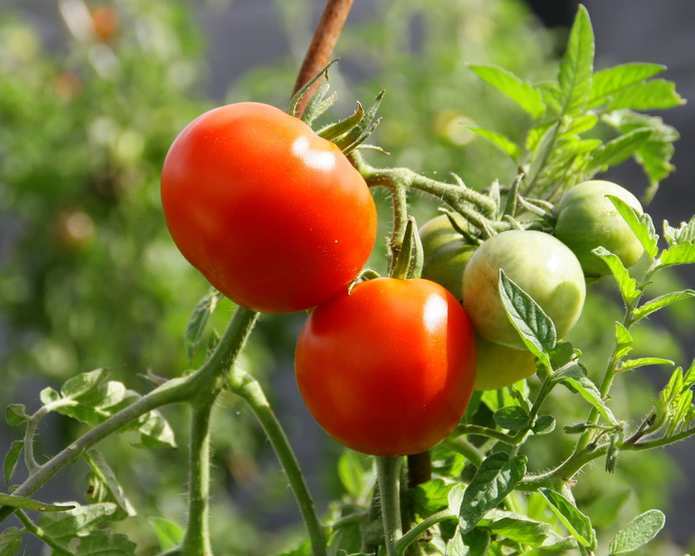 Take note that copper-based treatments such as Bordeaux mixture applied as a deterrent help avoid most of the diseases that impact tomato growing. 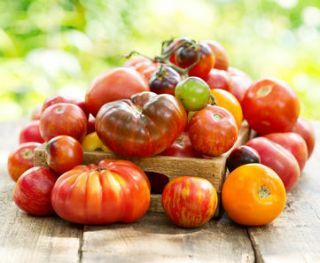 Nature-and-Health selected several delicious strains of tomatoes, both recent or heirloom, that stand out either due to their growth, or to their taste. ‘Banana Legs’ – cylindrical, harvested from mid-July onwards; pleasant sweet flesh, ideal for salads or tomato carpaccio. ‘Beefsteak’ – round, flat, large size; harvested from August onwards; the most productive, great for stuffed tomatoes, few seeds, also good for tomato-based sauces. ‘Cherry cocktail’ – also called cherry tomatoes, bears fruit in bunches, harvested from mid-July onwards; sweet and subtle taste. ‘Cornue des Andes’ – long, matures relatively early; flesh both firm and melting. ‘Gardener’s delight’ – small, crunchy and slightly tangy. Very productive. ‘Dix doigts de Naples (10 fingers from Naples)’ – cylindrical body; from July to October; sweet. ‘Elko F1’ – long and pointed, 3 inches (8 cm) long; whole season, from July to October; no need to prune or stake, very productive. ‘Fandango F1’ – round, matures early in the beginning of July; very productive. ‘Farta F1’ – long, thin and pointed; from August to October. ‘Green Zebra’ – round; harvested in July; heirloom tomato, striped light green. Very beautiful. ‘Luxor F1’ – flat; whole season, from July to October; firm and juicy flesh. ‘Marmande’ – flat and ridged; matures early during June; very productive variety. ‘Black Krim’ – round, matures early during June; surprise deep red color, delicious taste, no seeds. It is fragile and its shelf life is rather short. It resists diseases well. ‘Ophelia F1’ – round, harvested in mid-season from July to October; generous production, holds well during baking and cooking, and resists diseases. 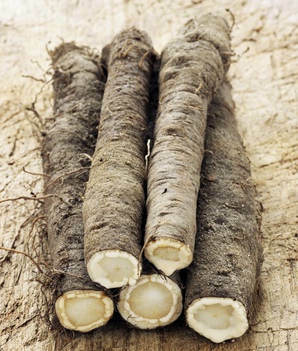 ‘Roma’ – long and pointed; harvested in mid-season from July; firm flesh that keeps well. ‘Rose de Berne’ – Average, delicate taste, pinkish flesh. 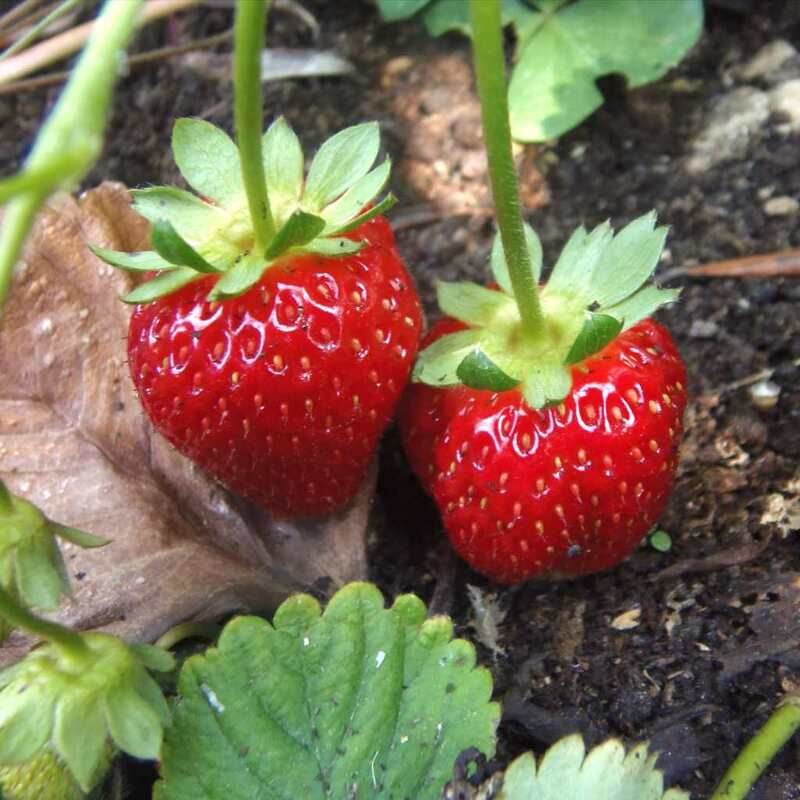 ‘St Pierre’ – round; mid-early variety harvested in July; easy to grow and disease-resistant. 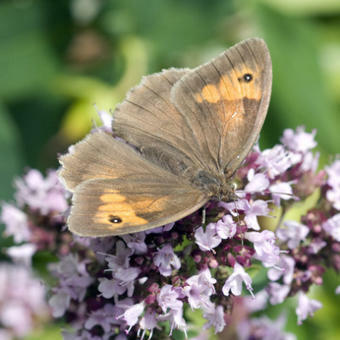 ‘Sweetie 100’ – round, small and matures early from June; savory flesh; resists diseases. If all these tips are followed through, growing tomatoes is relatively easy. Tomatoes are among the most cultivated fruits / vegetables in the world, and show up in many recipes. In the vegetable patch, but also on a balcony or a terrace, this plant has the added advantage of being very decorative. Since tomatoes are 95% water, they have very few calories, but are rich in vitamins C, B3, B6, A, K and E.
Tomato also has high mineral content, like potassium, manganese, copper, magnesium or phosphorus. A fertilizing mulch such as cocoa hulls will complement your tomato plants perfectly! It’s also great to make delicious jams. Green unripe tomatoes will give you firm, delicious jam. Jam made from red tomatoes isn’t as good, because the texture is sometimes more mealy.